Good stories are memes. They tend to spread, not merely by faithful reproduction, but despite purposeful remixing over the years. The Mahabharatha is no exception. The story grew in its telling and it is now embedded firmly in the Indian psyche. But I do not think we are doing enough to remix the fundamental themes in this epic. Thanks to BR Chopra and his garish, un-nuanced and heavily sanitized version that played over several years on Doordarshan, we now seem to have a stultified view of the epic. Gone are the gratuitous references to violence, the overall original darkness of the plotline, gore and the downright weird (by modern day standards) social practices and mores, as our collective idea of this epic has been reduced to overdramatic acting, fake jewellery and arrows duking it out amidst questionable looking fireworks. And let’s not even get started on the background score. But to be fair to the Doordarshan version, a literally faithful take of this epic would have probably bought the Pandava Sene to the fore, demanding that such vile and Un-Indian representations of the epic be banned, and all of us sipping on our gin in Irony bar would have chuckled. Perhaps we should create a Lolcat version of the epic after all. I remember watching Doordarshan as a child..swords clashing and woman crying..I wonder what effect that had subliminally in my mind in my formative years. Ofcourse ! Sunday mornings were deserted ! To watch Rupa Ganguly as Draupadi and those flying arrows and bright sparks faking for fireworks ! And of course, yes, lets not get started on the background score. Sometimes, my nightmares used to have those scores superimposed on them. And that wheel… would keep me awake ! Out of fear ! I CAN HAZ INTUR-NAT MAHABHARAT FTW! Watch things dragging the same way in the new serial Shakuntala ( yet again from Sagar Production) being aired on Star. @Krish: This is Partha was priceless !! I hope you can add more images to this list. A translation of the original mahabharatha by Kisari mohan Ganguly is available on the internet and to give credit to BR Chopra’s version, the conversation is a word to word translation of the original (original translation) and hence its success despite garish make up and the polyester clad draupadi. I think it was the dialogue that kept the audience captive. The mahabharatha by Peter Brook has an anaemic looking guy playing krishna and I couldnt watch it- so i guess the cultural bias also plays a role. Is one supposed to find the 6 differences between the two images “all your bases” and the “epic fail”? haha.. what a great comeback line for anyone who is called parthasarathy and feels discriminated. super post. @KA, you must add this to your post! I was trying to find the link for Facebook Mahabharata to post here before discovering that you wrote that also. You’ve come the full Google circle. Congratulations. Been a reader of this blog for sometime now.. The “This is Partha” bit had me fall of me chair.. Awesome taime pass kadlekai this blog is!! wow you get so many comments! you are really on a role!! Would that be a roll model? wow you get so many comments! you are really on a role! “Awesomeness” wud be an understatement! the ‘Partha’ one was more funny than the ‘Mario‘ version. LOL! Hahahaha… that’s a good one by itself 😛 thou shalt get that published as the lolcat version…. 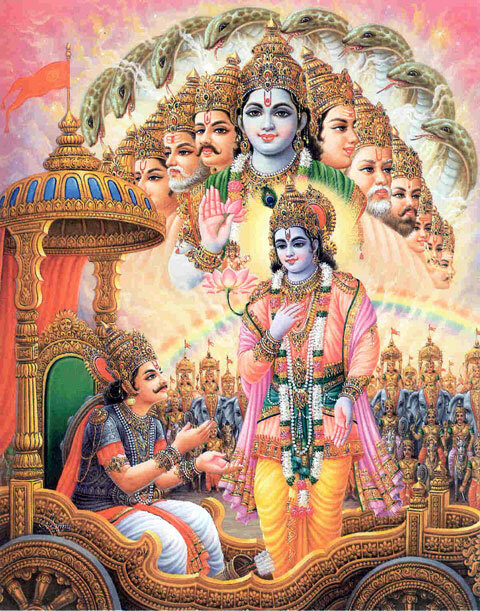 Arjuna asks Krishna: Oh Krishna! Please show me your Vishwaroopa! and So he pulls out Arjuna’s normal 50mm eyeball lenses and fits it with a nice 10mm super wide angle lens. Arjuna: Whoa! This is so wide, I can see the back of my crown! Krishna: That is the intention, I wanted you to see your crown chakra so that you can see my Vishwaroopa! I remember this one episode in the Doordarshan version with Panchali’s saree scene… it would just go on and on. The great war was about soulja’s fighting against each other. I was typing this long message & I accidentally the whole post! out of the Chakravyuha. (You just cant do a barrel roll) and becomes An Hero. Ashwattaama then tries to kill his(Abi’s) unborn child FTW. which grand uncle Krishna thawrts. And that son, Parikshit, goes on to to get killed by a snake. and proceeds to annihilate them. Your doing it wrong and we are so done professionally. Identify the total number of memes referenced in the above post. What do you call a cat with a mallu accent on Channel [V]? How about Pandavas and Kauravas lobbying hard to get access to a Nuclear warhead? wth happened to your sidebar all of a sudden?? Fun brilliance, my favourite combination! Please continue and do more! BHARGAVI’S BLOG IS BACK! AND RUNNING! who do u think is the fake ipl player?! It is always easy to do A remix. What is it by the way, copying the same ideas and adding extra flavors by once again borrowing ideas from somewhere else ( eg: this is Partha from 300) . Buddy, ultimately the message won’t reach, rather it’ll go in a wrong form. Better be original. hey excellent piece of creativity! Salut à tous ! Etes vous passé par une agence web pour le référencement web ? Je compte bien faire découvrir ce blog. Ma main à couper qu’il y a beaucoup de choses nouvelles ici. Bonjour, Felicitations pour ce bel article ! j’ajoute votre blog à mes favoris. Continuez !